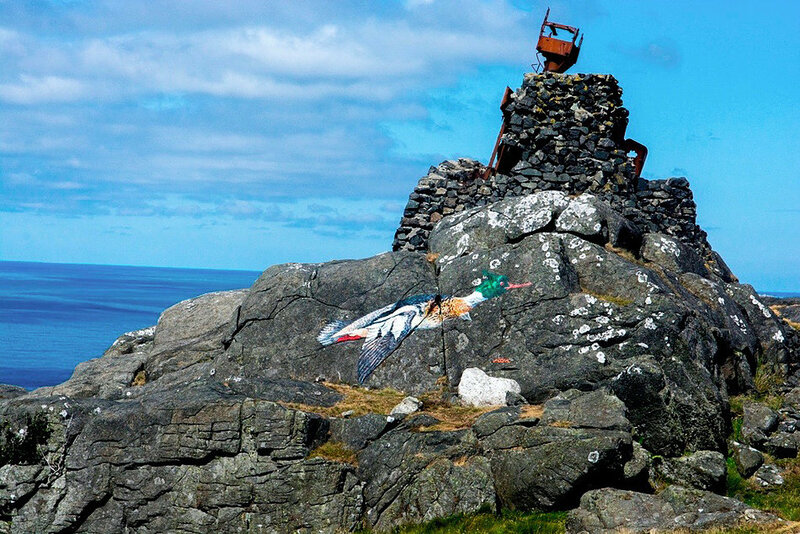 With toris64 for UtsirArt street art festival, Utsira Island, Norway 2014. Painted on a rock beneath a WW11 German radar station, a relic of the occupation of Norway, this painting is a powerful symbol of the regenerative powers of nature. As our political struggles ebb and flow, nature continues. The rusting remains of the radar station have since fallen into the sea.